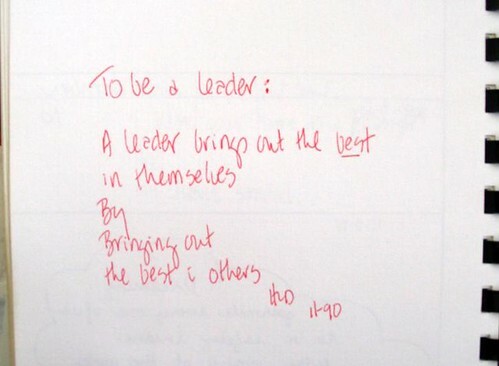 What's your idea of leader? As you can tell, this is a topic that I've always been very interested in. Good thoughts here as well. my fav is "inspire by example".